Cats are predatory carnivores – hardwired from the tips of their whiskers to their tender toe-beans to stalk, lunge, pounce, and kill. 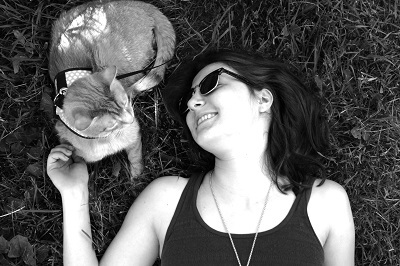 Your cat craves a toy that taps into their natural instincts – one that both lives and dies. And that’s what the best interactive cat toys do. 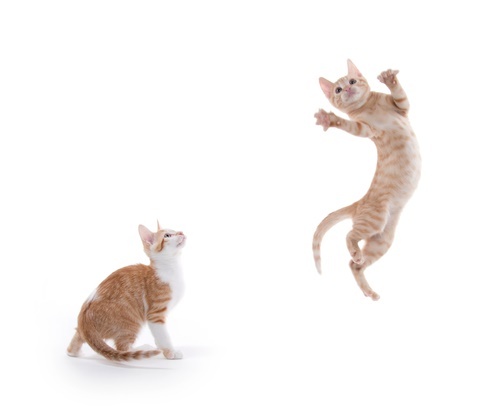 Unlike play tunnels and rugs, which are entertaining but don’t engage your cat’s hunting instinct, and mice, which are essentially pre-killed prey, interactive cat toys act alive. Like a real mouse or bird in nature, interactive cat toys give your cat the muscle-tensing joy of the hunt. Interactive cat toys are a diverse category. 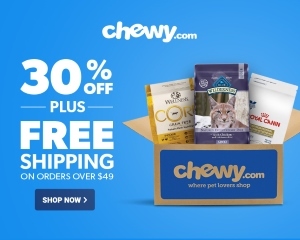 You’ll find toys that involve human involvement, allowing you to share bonding playtime moments with your cat, hands-off interactive cat toys for independent play, and interactive feeders. Let’s take a closer look at each of these types of toys. By putting a conscious entity on the other end of the toy, you give your cat that real-prey experience they crave. You can send the toy into hiding behind a door or let it dart under a bed. You control the prey’s energy levels and know when it’s time to let it succumb. These toys help you to get to know your cat better, increasing your bond. They also encourage you to get a little extra exercise, helping both of you to stay fit. Although human involvement in playtime is ideal, it’s important to give your cat a way to stay stimulated when they’re home alone. Interactive cat toys keep your cat healthy and happy when you’re not there. They also help to prevent your cat from using household furnishings and other objects as toys. While these toys aren’t as intelligent as you are, they respond readily to your cat’s attacks, simulating the experience of a real hunt. Interactive feeder toys are a great choice for overweight cats, cats who eat too quickly, and highly food-motivated cats. Furthermore, they tap into your cat’s desire to kill their prey and eat it, providing an instinctually satisfying meal experience. 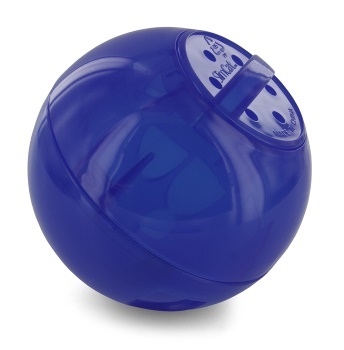 The toy is comprised of an 8-piece adjustable track with a motion-activated circuit ball. The ball quickly moves through the hills and valleys of the adjustable track, zipping along as if on a rollercoaster. While the ball takes its crazy rollercoaster ride, your cat has the opportunity to get in on the action by poking their paw through one of the many holes in the track. It’s large enough for multiple cats to play with at the same time. So that the game never gets old, the track is adjustable. With about 100 different layouts possible, you can offer a constantly-changing movement pattern. 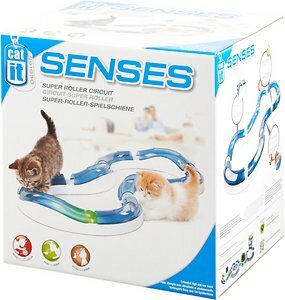 The Catit roller circuit is compatible with other track sets, allowing you to create a stimulating playground for your cat. This three-level track toy encourages your cat to send the battable balls spinning around and around each track. Thanks to the anti-slip pads on the bottom, you won’t have to worry about the toy from sliding across the floor during play. All of the balls are designed to remain in the tracks and are unlikely to pop out for an adventure under the refrigerator. The tower is 9.75” in diameter and 6” tall, making it the perfect size for most cats. The three-level design makes it spacious enough for multi-cat playtime. 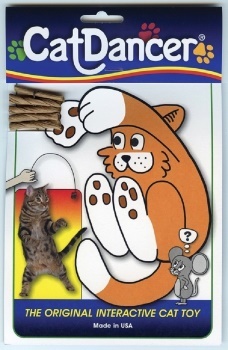 This interactive cat toy has a deceptively simple design. It looks like – and is – a piece of springy wire attached to pieces of rolled cardboard. This straightforward design is one of the most mesmerizing and exciting in the world of cat toys. Over 8 million cats have tested out this extraordinarily popular toy, and most of them have loved it. The toy’s design makes it look and behave much like a bug – and everyone knows cats love playing with bugs. The springy toy is perfect for people who want to engage in interactive playtime, but don’t want to move much. Thanks to the springy, responsive natural movement of this toy, you can sit in a chair and give your cat a full, exciting play experience. This battery-operated robotic toy is one of the most realistic prey toys on the market. 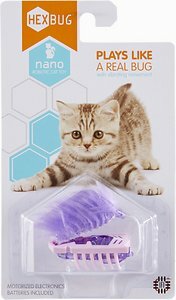 Like a living creature, this robotic bug toy glides across the floor, dragging its enticing fluffy tail behind it. The company says that the toy has an “uncanny sense of balance”. If your cat knocks the toy over, the vibrating movement of the robot will cause it to flip back onto its plastic feet and continue moving. Remember that any loose parts could pose a risk to your cat, so periodically inspect the toy to ensure that everything is intact and safe for playtime. This instinct-approved interactive feeder forces your cat to play before they eat – just as they would in nature. 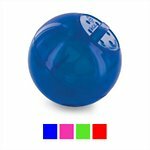 The bouncy play ball is filled with treats or kibble, and your cat must agitate the ball to release the deliciousness hiding within. Because it forces your cat to play before they eat, it’s perfect for overweight cats who need a little extra exercise. It’s also a good choice for cats who typically scarf down their food. 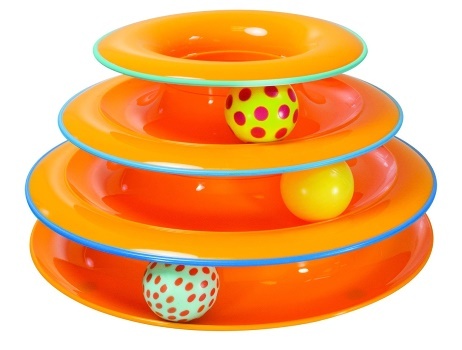 The feeder toy is adjustable, so you can choose how much food the toy dispenses as is bounces, rolls, and shakes. It’s made from dishwasher-safe plastic, so it’s easy to clean it up after use. The plastic is BPA-free. Want to go beyond interactive cat toys? Click here for a full lineup of the best cat toys on the market.